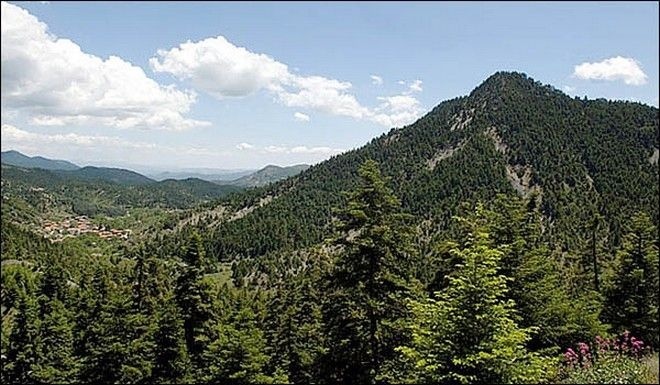 The mountain of Menalo (1980 maximum altitude) occupies the center of the Peloponnese and the greater part of Arcadia, main western side. It extends from the plateau of Tripoli until Lousios River to the west and from Megalopolis until Ladonas north, in an area of ​​approximately 1,500,000 acres. 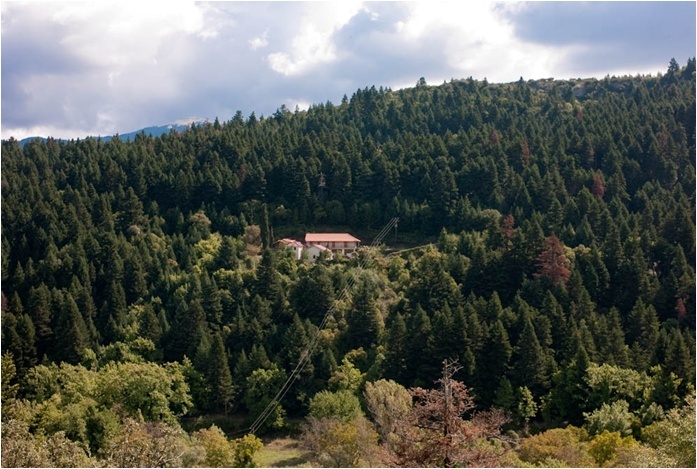 The purely mountainous area exceeds 700,000 hectares and makes it one of the most extensive mountain ranges of Greece. The constant changes of tens of peaks and ravines with hundreds of mountain pastures and plateaus, giving an impressive relief. 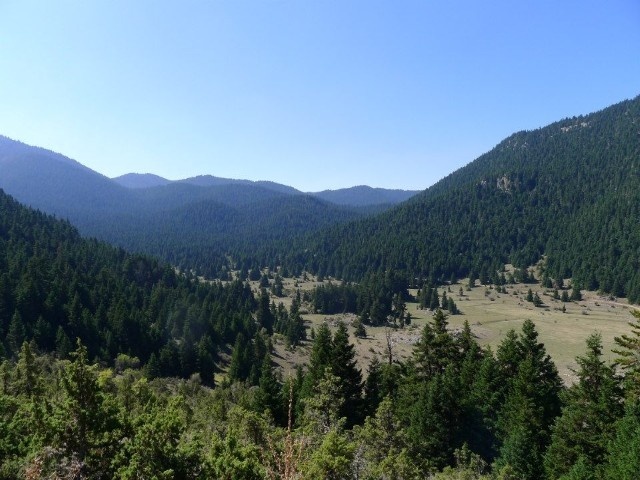 The fact that most of the highlands show a negative slope (dolines, Goupata, lakes) makes Mainalo unique geomorphological formation throughout Greece. The natural landscape is completed by several sources and water flows, particularly in the western part of the due sealing of rocks (flysch, schist) which form a rich biomass and one of the largest aquifers in the Peloponnese. A magnificent fir forest extends for about 65% of the mountainous area and with oak clusters before, pine, cedar and all forms of vegetation, is the background of a rich mykochloridas. The flora is complemented by a wide variety of shrubs, herbaceous plants and flowers in the plateaus and peaks, especially in spring give beautiful lawns with rare natural formations. Today, the birds and fauna of the mountain, despite the deterioration of human disturbances of various kinds and natural disasters, it still gives the unequal battle of survival. most recently Mainalo has been included in the European Natura 2000 network program. 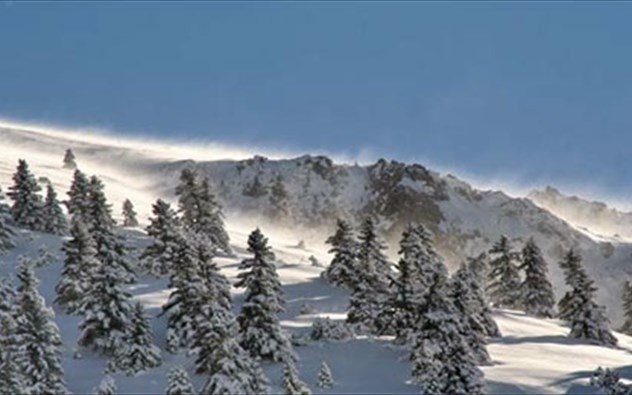 Countless legends and traditions associated with the mountain, where lived the gods and heroes of mythology. Mainalo was the home of Pan, the goat-footed god of flocks and shepherds, in this often presented the goddess Demeter, in this wandering Nymphs. Idyllic landscapes inspired Goethe, the Vyrgilio in Poussin and many other poets and philosophers, and praised by them. Indeed, according to the Vyrgilio Mainalo "always listen to love songs of shepherds and Pan, playing the flute." The philosophical tendency and faculty of "Arcadia" - the world famous and popular to this day - the mountain that owes its birth.